The latest flurry of trades have now started with teams looking to add depth to their respective roster. Below are some of the trades that just occurred today. In a blockbuster deal and unexpected move, the Florida Panthers acquired elite goaltender, Roberto Luongo from the Vancouver Canucks. For Luongo it is a return to the Panthers eight years after being traded to the Vancouver Canucks. Dale Tallon who already have a goaltender in Tim Thomas put goaltender Scott Clemmensen on waivers earlier today to make a roster spot for Roberto Luongo. Going back the other way, the panthers are sending to the Canucks, prospect goalie Jacob Markstrom and centre Shawn Matthias. 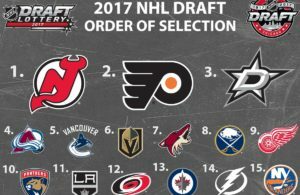 In the off-season, last year, Luongo requested a trade when left as the backup to Cory Schneider but surprisingly, it was Schneider who was traded to the New Jersey Devils during the 2013 NHL Entry Draft. 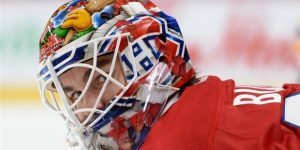 Luongo who was not happy to be the starting goalie at the Heritage Classic against the Senators inadvertently started his own rumors on Sunday. 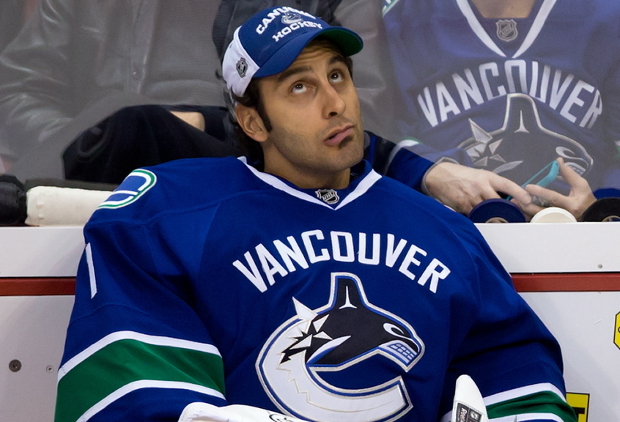 Luongo this season had a .917 save percentage and a goal against average of 2.38. Luongo was awarded the gold medal in Sotch when Canada beat Sweden in the finals. When asked about Luongo, Florida Panthers general manager Dale Tallon declared this: “Roberto is one of the game’s elite goaltenders and we are happy to welcome him back to South Florida,” “With this acquisition, we have solidified our goaltending depth with a top-tiered netminder for the next several seasons.” Of note, the Vancouver Canucks will assume 15% of Luongo’s salary for the remainder of his contract. Today is not the deadline but a flurry of trades has begun today and the trades continued when the New York Islanders traded highly coveted defenceman Andrew MacDonald to the Philadelphia Flyers in exchange for a second round pick in 2015 and a third round draft pick in 2014. MacDonald, who is set to become an unrestricted free agent July 1st is having a breakout year with the Islanders and general manager wasn’t able to sign the defenceman earlier in the season. 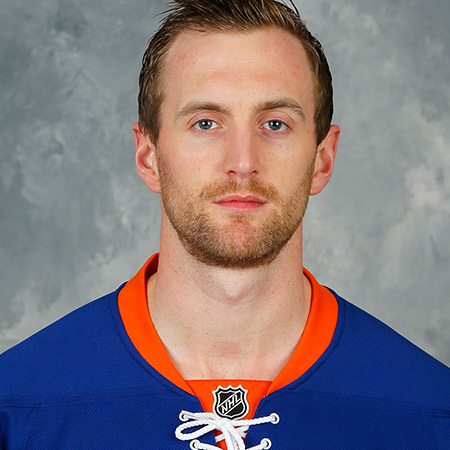 This year MacDonald mainly employed on the powerplay for the New York Islanders has recorded four goals and 20 assists in 63 games. MacDonald is currently in the final year of a four-year deal he signed with the Islanders prior to the 2010-11 season worth an average annual value of $550,000. Drafted in the NHL Entry Draft of 2006, MacDonald has spent his entire career with the Islanders scoring 17 goals and 72 assists in 295 career games. According to TSN.ca, the Edmonton Oilers have traded goaltender Ilya Bryzgalov to the Minnesota Wild for a fourth round draft pick in the 2014 Draft. Then, the Oilers have acquired from the Anaheim Ducks prospect goalie Viktor Fasth in exchange for a fifth round pick in 2014 and a third round pick in 2015. Fasth who was rumored to be on the trading block by the Anaheim Ducks will bring along with Ben Scrivens, signed yesterday much stability in the Oilers net. The 31 years-old signed a two-year contract last summer worth 5.8 million dollars. In 2013-14, Fasth participated in 5 games while compiling a save percentage of .885 and a 2.95 goals against average. 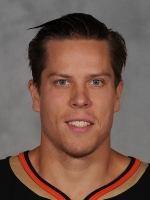 Career wise, Fasth has a .915 save percentage and a 2.32 goals against average. As for Bryzgalov, he was acquired earlier this year by the Oilers and his move to the Wild seems somewhat surprising with Martin Brodeur still available and rumored to head to Minnesota. Bryzgalov, compiled a 5 wins, 8 losses and 5 overtime losses with a .908 save percentage with a 3.02 goals against average since his acquisition 8 November, 2014. bryzgalov will be an unrestricted free agent July 1st. 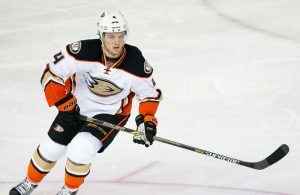 In a separate move, the Anaheim Ducks have sent forward Dustin Penner to the Washington Capitals in exchange for a fourth round draft pick. Penner, this season had 13 goals, 19 assists for 32 points in 49 games and is plus -22. Dustin Penner was acquired by the Ducks in the off-seasonas a free agent by the Ducks on July 16th. The Washington Capitals have finally realized Martin Erat’s wish by trading him yesterday to the Phoenix Coyotes along with forward John Mitchell in exchange for forward Chris Brown, defenseman Rostislav Klesla and a fourth round draft pick in the 2015 NHL Entry Draft. Erat who requested a trade earlier in November could never get along with head coach Adam Oates about his playing time. Erat’s statistics at the time of the trade were 1 goal and 23 assists for 24 points in 53 games played. As for John Mitchell, the Coyotes are looking at adding size and grit. Mitchell who’s in the minor, had 10 goals 4 assists for Norfolk last year in 61 games played. Going to Washington is defenseman Rotislav Klesla and forward Chris Brown. There is movement for depth as far as the Capitals are concerned. In Klesla, they get a veteran defenceman capable to solidify their defense corps. Klesla had 1 goal and 3 assists for 4 points in 25 games while Chris Brown only played in 6 games for the Coyotes and was coreless. Yesterday, veteran defenceman Stephane Robidas was rumored to be on the trading block despite recovering from a broken leg last November. Today the Dallas Stars confirmed the fact, when Robidas was sent to the Anaheim Ducks in exchange for a fourth-round pick the Ducks acquired from the Washington Capitals for Dustin Penner. 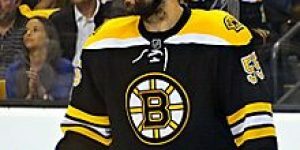 Robidas who is 37 years-old may be the defenseman the Ducks were looking for. 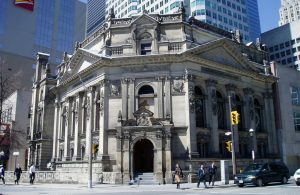 The defenceman is in the final year of a four-year, $13.2 million contract and will become an unrestricted free agent July 1st. This year Robidas played in 24 games and scored on four occasions while recording one assists. Stephane Robidas commenced his career with the Montreal Canadiens when he was drafted in the seventh round (164th overall) of the 1995 NHL Entry Draft. 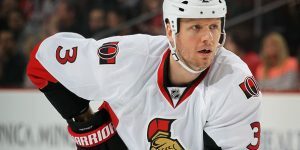 In a minor deal this morning, the Senators have obtained defenseman Patrick Mullen from the Vancouver Canucks and in exchange for Mullen the Senators sent to the Canucks forward Jeff Costello. Costello a Notre-Dame (CCHA) player in the Senators system was drafted by the Ottawa Senators in the 5th round (146th overall) in 2009 while Patrick Mullen who currentl plays in Utica – their AHL affiliate team was signed as an unrestricted free agent by the Vancouver Canucks in July 2012.